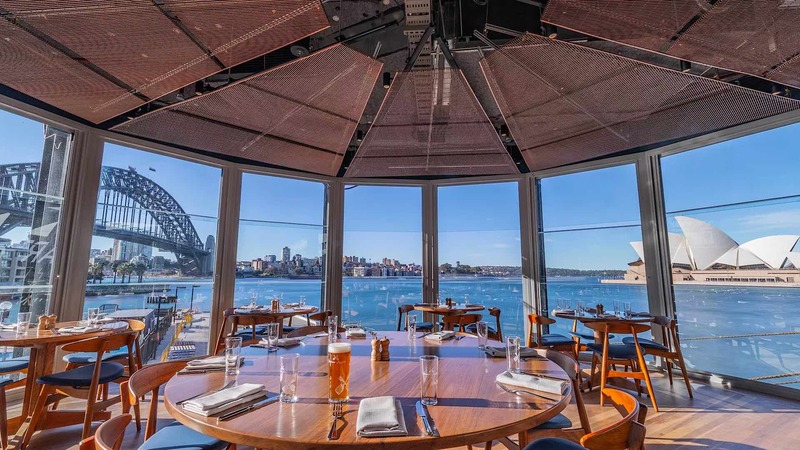 James Squire's Circular Quay two-storey restaurant, bar and microbrewery is right on the water. Want a place to drink by the harbour but don't want to to Opera Bar again? Head to Squire's Landing, a two-storey mega venue from brewer James Squire at the Overseas Passenger Terminal at Circular Quay. From wherever you sit, the views of the Opera House and Bridge are truly splendiferous. 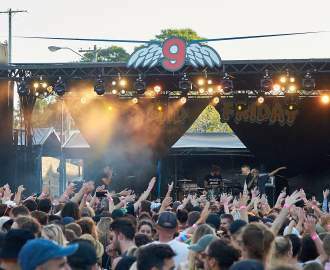 Moreover, the space — which is restaurant, bar and microbrewery — is right next to Campbells Cove, where real-life convict-turned-Australia's first brewer James Squire arrived on the First Fleet nearly 230 years ago. All nine beers in James Squire's core range — from the 150 Lashes Pale Ale you see on taps everywhere to the Jack of Spades Porter — is available on-tap. Plus, there's an ever-changing selection of limited-edition releases, concocted by head brewer Peter Merrington both at the brand's brewery and Camperdown Malt Shovel Brewery and the new one glass-walled one on-site. The most interesting brew on the list right now is The Wreck Preservation Ale, which is made with 220-year-old yeast. It was discovered – still alive – by conservator David Thurrowgood of the Queen Victoria Museum and Art Gallery in bottles recovered from The Sydney Cove, a merchant ship that wrecked at Preservation Island, just off Tassie's northeast coast, in 1797. Taking care of the kitchen is head chef Chris Evanges, who works closely with Deniz Coskun, executive chef at Mantle Group, which owns the venue. Downstairs serves a casual menu, loaded with pub classics, including burgers and upstairs. For a fancier meal, book a table upstairs, where you'll be lingering over beautifully composed dishes, driven by premium produce. Think wood-fired octopus with roasted peppers, olive, nduja, lemon and pangritata (fine, crispy croutons made of sourdough and herbs, toasted in olive oil) or coffee-cured and smoked duck breast from the Hunter Valley with confit leg beignet, celeriac remoulade, pickles, salt-baked beetroot and jus. Squire's Landing is the seventh James Squire Brewhouse in Australia. The rest are dotted across Perth, Adelaide, Melbourne, Newcastle and Brisbane. Good news is that you can book, so you can guarantee a seat looking over the harbour.